The cost of insuring a car has never been higher. For young people it is not uncommon to be quoted amounts in excess of £4000 a year - sometimes more than the car is actually worth. Not long ago, the only option for young drivers was "black box" insurance to help them reduce such premiums. Under this system, a data recorder box is fitted to your car and sends information to your insurer. Now there's a rival technology in the form of dash cam policies, based around mini video recorders on your dashboard, which promise to cut prices by up to 30%. So which is the best technology to minimise your bill? Telematics - or black box - policies are designed to encourage you to drive safely, with data on your driving habits being sent to your insurer in real time. The cheapest deals are likely to involve a box hard-wired into your car. These cannot be switched off, so they provide the most accurate data. That's why insurance companies offer the best deals on them. However there are also devices which you plug in under the glove box each time you drive, and apps on mobile phones. The boxes - or the apps - are usually provided free of charge. Restrictions: Telematics policies restrict driving behaviour in different ways. Some come with a curfew, and apply a penalty for driving after 11pm. However, since two teenagers were killed in Gloucestershire in 2013 as they raced home to beat their curfew, many insurers no longer apply a time limit. Black boxes: Can you trust them? In any case, such restrictions are not for everyone. "Maybe you're a nurse and you do nightshifts," says Graeme Trudgill, executive director at The British Insurance Brokers' Association (Biba). "So a daytime-only policy wouldn't be very suitable." Other policies restrict your total mileage, meaning the less you drive, the less you pay. Driving style: The most advanced policies monitor your driving style, by measuring your acceleration, braking, cornering and speed. One provider, Marmalade, offers drivers their own personal online dashboard, on which each of their journeys is logged as green, amber or red. A driver who gets an amber journey will receive an email, pointing out how he or she could improve. If someone gets a red, they will receive a phone call. The staff member will even show them on Google Maps the exact location where they made a mistake. "We actually speak to that young driver on each occasion, and talk them through how they've been driving," says Andy Martin from Marmalade. "We find they actually moderate their driving." After a third red journey the driver's premium will increase by £125. By their sixth red journey they are considered unsuitable for insurance. Parents are encouraged to become named drivers on the policy, so they can see the information, and have input into their son or daughter's driving skills. Another provider, Ingenie, sends regular feedback on your driving, and will review the premium as you go. At the end of your first year it will give you a "good driver" discount, as well as the no claims bonus. An alternative to a telematics policy is a dash cam, a mini video recorder which is also supplied and fitted free. They are wired into the ignition system, so they are always on when the car is driving. The idea is that, should you have an accident, the insurer can see who was at fault. James Noble, the 24 year-old founder of MyFirst Insurance, believes young drivers are often blamed for accidents unfairly. "The dash cam prevents this," he says. "It's a set of eyes in the vehicle, like a parent or instructor alongside you, that will protect you in the event of a claim." But equally well, a dash cam could confirm that an accident was your fault. 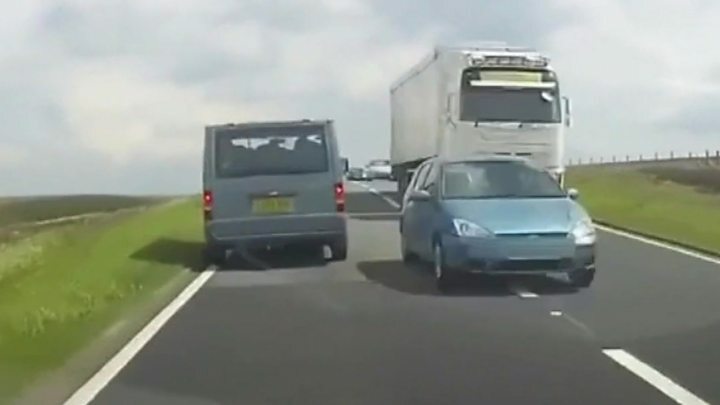 While dash cams do not monitor driver style directly, there is some evidence they can improve behaviour. Most dash cam providers require a specific brand and specification of camera, so it is best not to buy one yourself. Which is cheaper? Telematics policies appear to provide the best discounts, with savings of up to 50% on standard insurance, depending on the restrictions involved. According to the price comparison site Uswitch, the average saving is £1,282 - but in many cases it can be more. However its research shows that the biggest beneficiaries of such policies are those between the ages of 17 and 20. Those above that age could find that dash cam policies provide a better deal. "As you hit 21 and above, there's less competition out there between telematics providers, so the dash cam policies could actually be cheaper as you get to that age bracket," says Sabrina Webb, an insurance expert with USwitch. To buy a dash cam policy some brokers insist that you need to be 21 anyway, with at least one year's driving experience. This suggests that many young drivers may find it cheaper to start on a telematics policy, and move to a dash cam policy when they get into their 20s. In any case telematics providers tend to reduce your premium after the first year by up to 40% - if you have been a good driver - so after a couple of years the cost should no longer be such an issue. To save money it is often tempting to go on a parental policy as an extra driver. But beware being named as an additional driver when in fact you are the main user. This practice is known as "fronting", and is potentially fraudulent. At the very least an insurance company could refuse to pay out on a claim. But in any case, you are only putting off the day when you will have to start a policy in your own name, which will still end up being pricey. "Our view is that there would be minimal, if any benefit, to a young driver doing that," says Martin Bridges, the technical services manager at Biba. "It's a bitter pill to swallow, but by effecting a policy in a young driver's own name you will also accrue a no claims bonus." Top tips: It is worth researching an insurance policy before you buy a car. Among the firms specialising in young drivers are: Adrian Flux, Admiral, Be Wiser, Endsleigh, Direct Line, Ingenie, Insure the Box, Marmalade, MyFirst Insurance, Only Young Drivers, Sky Insurance, Swiftcover, Woop. Biba has a "find a broker" service. Young drivers can click here.